Prime Minister Justin Trudeau’s legalization plan was supposed to cut out organized crime, but an investigation by Radio-Canada’s Enquête shows Health Canada has granted production licences to companies with individuals with links to the criminal underworld. For its part, Health Canada says it has not seen any cases of organized crime infiltration of more than 130 licensed cannabis producers since 2013. 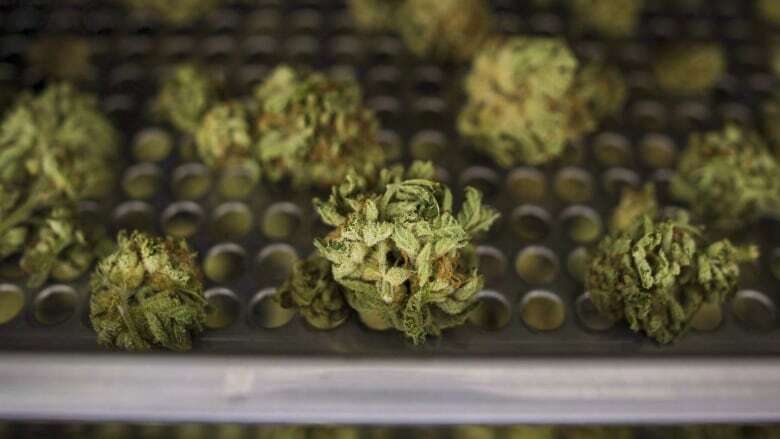 To produce cannabis, those who hold certain positions in companies must first obtain a permit from Health Canada by taking a security screening. Any past connections with individuals related to organized crime are part of the analyzed information. To secure a licence, Health Canada first checks if the individual has a criminal record. Second, the RCMP consults police databases to review information that may indicate an applicant’s links to criminals. Health Canada makes its final decision with the information provided by the RCMP. The RCMP says it raised red flags on about 10 per cent of the applicants it was asked to check out in 2016 and 2017. “Health Canada has found no evidence that organized crime has infiltrated one of more than 130 federally registered producers,” spokesperson Eric Morrissette said in an email. Throughout the period in which Canada’s cannabis industry was developing, primarily for medical purposes, only individuals who directly ran the companies were required to obtain a security clearance. This approach, says Conservative Senator Claude Carignan, demonstrates a naiveté about the workings of high-level organized crime. Last spring, Carignan and his Senate colleagues tried, unsuccessfully, to amend Bill C-45 on the legalization of cannabis in order to demand more transparency from companies entering the industry. Several companies have opaque and complex structures. “You never see who the real licence holders are,” said lawyer and tax expert Marwah Rizqy, who raised the issue before a Senate committee last spring and has since been elected Liberal MNA for the Quebec riding of Saint-Laurent. It’s not uncommon for cannabis companies to be funded through family trusts. “If we want to eliminate the Mafia cannabis market, we cannot allow them to use tax havens or trusts to enter indirectly through the back door,” Carignan said. A report by the federal Department of Finance and several international organizations identifies trusts as one of the vehicles most at risk for money-laundering in Canada. In a Senate appearance last April, Rizqy suggested refusing to grant production licences to companies financed through trusts. “Maybe it would be wise to deny the licence outright because you are not able to unequivocally establish that the security clearance is really valid,” said Rizqy. The recommendation was not accepted. The federal cannabis legislation adopted this summer, however, did include more extensive background checks into individuals who back cannabis companies. Too many requirements for the cannabis industry? Carignan has faced criticism for his efforts to make cannabis companies more transparent. Line Beauchesne, a criminologist at the University of Ottawa, believes Health Canada’s investigations are adequate and consistent with the government’s desire to ensure the quality of the product and to prevent smuggling. “Why especially for the cannabis industry?” Beauchesne asked. If there were to be new rules of transparency, “all industries moving into Canada” should be affected, she said. Its traditional role is to ensure a product meets certain standards. The number of audits to be conducted in the cannabis industry is so great investigators have to make choices, said the RCMP’s Goupil. The work of police is complicated considerably when the sources of financing for businesses come from abroad, including from tax havens. “Technically, there is nothing illegal there. But it’s hard for [the RCMP] and for Health Canada to go out and check in those countries,” he said. “Often, it’s going to be the janitor who will sign the company documents or a law firm in country X. At some point, we cannot do the research. It’s a lot of investment, a lot of time, a lot of money,” Goupil said. Tax havens are not the only barrier to police work. Secrecy also exists in some companies in Canada. “We need to use other more advanced techniques such as physical surveillance and wiretapping that will help us identify who is behind the company and who operates it,” he said. These survey techniques, however, require considerable resources and cannot be deployed for all cannabis companies.